Support the right of all UK residents, and of UK citizens living abroad, to vote in general elections and referendums. 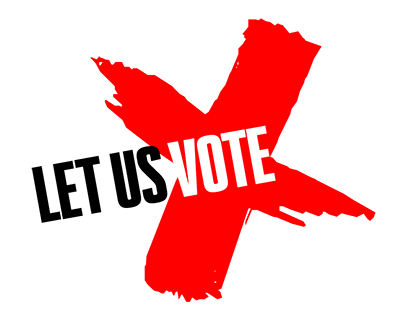 Let Us Vote is a campaign to allow all UK residents, and all UK citizens living abroad, to vote in general elections and referendums. 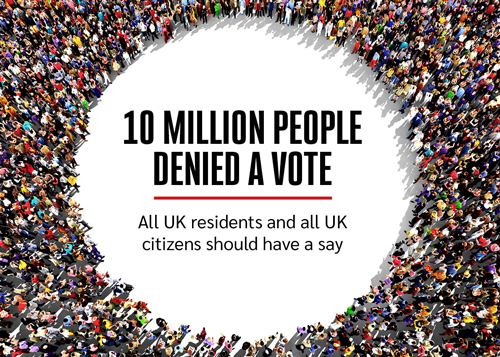 Whatever your views on Brexit and party politics, it is fundamentally wrong that so many millions of people whose lives will be deeply affected by developments at Westminster are currently denied a vote. We can win – but only if we act. With enough public pressure, we aim to get a majority of MPs to sign up to our pledge, and to get a commitment to supporting the campaign into the manifestos of the main political parties.